The term Customer Relationship Management (CRM) describes systems and processes within companies which, with the help of customer data, aim to unify and improve customer service in order to achieve higher levels of customer loyalty. Customer Relationship Management brings together various departments, such as sales and marketing, to ensure a uniform approach which ultimately contributes to increasing the company’s success. Unlike many other corporate guidelines, CRM focuses on the customer and customer relationships rather than on sales or profits. This approach is particularly widespread in the business-to-business (B2B) area where it is often very difficult for companies to attract new customers. Although online marketing has made things much easier and opened up new solutions, business-to-business still remains a sector where it is difficult, and above all expensive, for any company to acquire fresh customers. 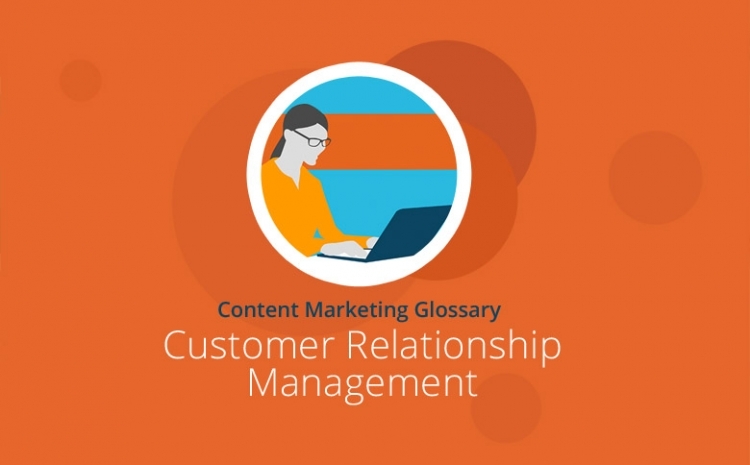 Customer relationship management is also used in the business-to-consumer area, though it plays a somewhat different role here because CRM for business customers is usually based on processes and solutions that are specifically tailored to individual customers. Since companies selling their products to end users normally have more customers than companies operating within the B2B sector, a similarly customized solution is hardly practical. Nevertheless, such companies can still use customer relationship management because if their sales and marketing measures are coordinated through a CRM system, the company can identify relevant target groups. These can then be approached much more individually, which leads to greater customer loyalty, more entrepreneurial success, and a positive enhancement of the company’s image. However, any further individual orientation of CRM will demand the adoption of a considerable number of extra measures, which can only be implemented across a relatively small cohort of customers. Statistical information about orders, sales, etc. Using the software information available, all employees can be made aware of the measures taken to improve customer relationships and customer loyalty. The statistical data can also be used to easily verify whether such measures were successful and what goals were achieved. To make a CRM system easier to work with, most software products include additional features such as the integration of Office programs, email clients, task management applications and time management tools, plus the ability to import and export data. The task of marketing is to use CRM data to address existing customers individually using various measures. Depending on the size of the target group, this could be via direct contact but may also include newsletters, customer brochures, surveys and similar methods. And because new customer data can be collected using CRM software, customer relationship management is, of course, a particularly helpful tool for communicating information in both directions. Marketing is tasked with winning new customers and uses CRM data to do so. This data also keeps the marketing department informed about which measures and which marketing channels are the most promising. Following these marketing efforts, the sales department is committed to selling to new and existing company contacts through direct and individual communication. This can be achieved, for example, by means of a conversation in which the exact needs and wishes of a customer are established, but custom deals and special conditions for certain orders are also possible. For CRM purposes, it is important that this ongoing communication continues to gather even more customer data so that customer requirements are increasingly better defined and thus better fulfilled. As a result of this CRM process, the customer feels well-looked-after and is therefore more inclined to place further orders. In customer relationship management terms, customer service can only apply to existing customers, but it can make a significant contribution to customer loyalty. During after-sales service, employees can demonstrate that they are truly interested in a customer’s needs or problems, which can thus show that the company is not just focused on sales alone. CRM software also plays an important role here because the customer data collected during the marketing and sales phases enables customer service to deal with customers as individuals. If the customer had expressed any particular wishes during earlier (sales) negotiations, the customer service department can now inquire as to whether these have been implemented to the customer’s satisfaction. This gives the customer the feeling that his or her needs are being handled by a genuine partner. The analytical component of CRM is where customer data is collected and evaluated. CRM software and the options it makes possible play a central role in this function. What data can your software collect? In what ways can this data then be analyzed and evaluated? These questions must be taken into consideration when selecting CRM software because effective customer relationship management cannot be achieved without reliable data evaluation. Methods borrowed from the field of business intelligence are used for this purpose, especially data mining – i.e. the systematic statistical evaluation of large volumes of data. This helps to identify trends and can verify whether certain measures have been successful while also reporting on whether there were any (perhaps unexpected) side effects. The task of operational CRM is to translate the findings of analytical CRM into concrete measures. Among other things, this includes sorting customers into different categories. This helps to evaluate the relative importance of each customer to the company, the market sector in which the customer is active, whether the customer could be interested in any other aspects of the market, whether the order potential in the identified core sector has yet been exhausted, and more. In addition, operational CRM also gathers further data which, in conjunction with the software, helps to give a more precise picture of each customer. Communicational CRM manages various communication channels so that a coordinated contact with the customer can be maintained. If, for example, a customer has been contacted via newsletter, this can then be followed up with a personal call. This coordination of communication methods means the company can build upon the groundwork performed by each successive measure. In the absence of such coordination, some of these measures would presumably be in vain, or perhaps even counterproductive if the customer then feels harassed or poorly looked-after. Just like communicational CRM, collaborative CRM serves to coordinate. However, this task is not about coordinating external actions but concerns coordination across the company. Thanks to CRM software, all departments involved in customer relationship management work with the same data, but this does not necessarily mean their efforts are coordinated. Collaborative CRM allows a company-wide approach, which determines clear goals and responsibilities. Customer Relationship Management enables a company to align its strategy with the needs of the customer in order to best meet those needs and thus ensure long-term customer loyalty. However, in order to be successful in these aims, the different company departments have to work together and use measures in a coordinated fashion. This purpose is achieved via a customer database which is analyzed and updated using CRM software. This approach will be of particular interest to companies operating in highly competitive markets where it is difficult to attract new customers.